See that picture there? 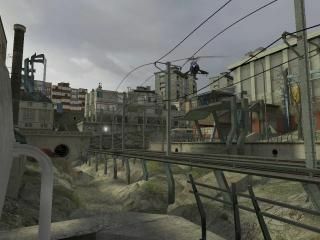 You are to reconstruct it in the Source engine, in either a HL2 SP or CS:S map. You will be judged on how well you not only establish the theme of the screenshot, but also how well you establish its own unique theme. Creativity and imagination will also be a deciding factor. Well, here they are, finally: the results for Competition 21: Reconstructification! It was slightly disappointing to see that very few had stepped out of the bounds of the HL2 texture set, which is why my special mention goes to Gunter with his snow base themed map. Without further ado, here are the results. It is clear Kasperg has given a great deal of effort in constructing this City 17 flavoured map. While the mapping was incredible, it was still quite easy to see the original screenshot, which was great. The addition of the various City 17 trademarks (the helicopter, the camera, the Breen monitor) all contributed to a visually stunning map. A well deserved first. 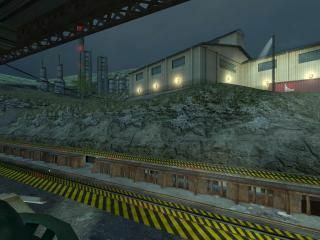 Trapt's continually improving talents with the Source engine, as well as his experience within the Dystopia mod have all been demonstrated in his entry. The lighting is incredible, quite easily giving the impression of an industrial landscape. The use of a nighttime setting was also quite refreshing. 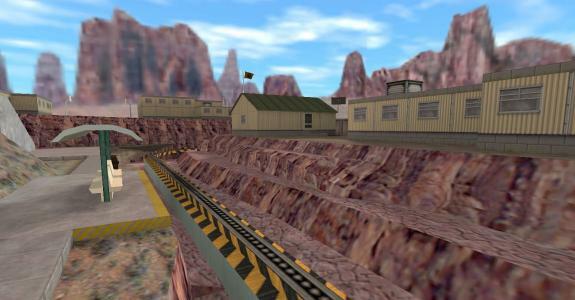 Unfortunately, Trapt neglected to add any sort of ambience to the map, which can be overlooked given the time constraints. Congratulations! Probably the most unique map I received, dewdle's map is set within, of all places, suburbia! 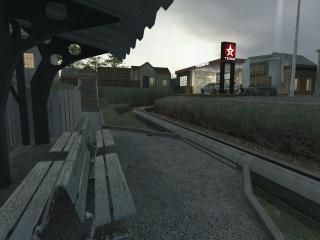 Although the mapping does not quite flow too well and the unfortunate presence of bugs, the map itself is quite good. The little details, particularly the brushworked lettering were quite cool additions. Well done! Processed in an annoyingly forgetful 606 milliseconds.